This week we filed our opening brief in Yim v. City of Seattle, a lawsuit challenging Seattle’s outright ban on landlords’ right to select their tenants. Under Seattle’s “first-in-time” rule, landlords must offer housing to the first person who files an adequate rental application. This oppressive ban on innocent business decisions is meant to address any “unconscious bias” that might affect landlords’ decisions. But the City can’t just ban choice outright; such an extreme approach to stopping discrimination violates property rights, speech rights, and due process. This blog post explains more. Our friends at the Center for Bogus Disasters filed suit this morning seeking to enjoin Santa from embarking on his annual trip from the North Pole. 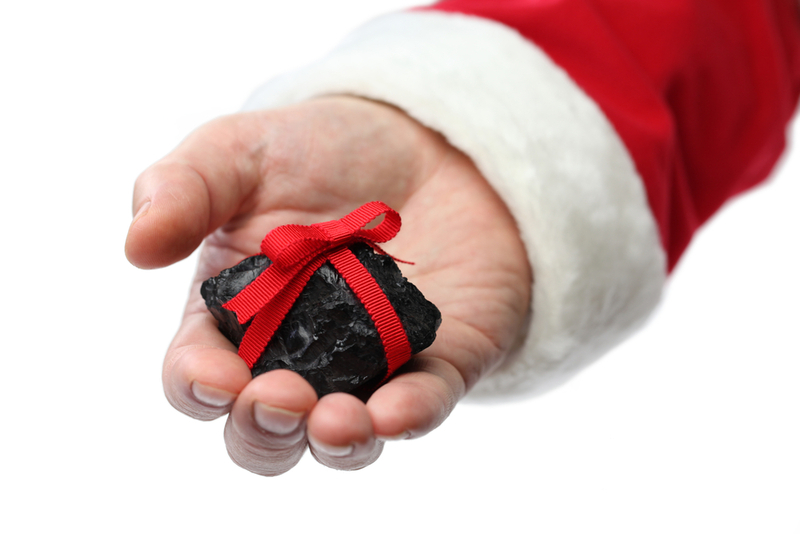 The complaint alleges that Santa’s flight will require the strip mining of massive amounts of coal for delivery of that same coal to the offices and homes of CBD and its staffers. This could, allegedly, trigger massive climate change and turn the North Pole into a suburb of West Palm Beach. In response, Santa has told the Court that there is “no way in Gaia’s green earth” that he and Ruldolph are going to deliver mini windmills instead of coal to his list of CBD employees. So … to everyone not receiving coal this Monday, we wish you Merry Christmas and Happy Holdidays! This week, in T.H. v. Novartis Pharmaceuticals Corp., the California Supreme Court issued a 4-3 decision greatly expanding the tort of negligent misrepresentation, holding that a brand pharmaceutical manufacturer owes a duty to a plaintiff that consumed a generic version of the product years after the manufacturer left the market and sold the production rights to someone else. This effectively ends any limits on brand manufacturers’ duties to users of generic drugs under the tort and fails to advance either public policy or fairness. As PLF argued in our amicus brief, imposing liability when the harm is so attenuated to the defendants’ actions does not promote the goal of deterrence, unfairly imposes liability for conduct only tangentially related to the harm, and stifles worthy economic enterprises—including the production of potentially life-saving drugs. This week—on behalf of itself and its clients Kurt Whitehead, Joe Letarte, the Alaska Outdoor Council, and Big Game Forever—PLF filed a Reply brief in support of its Renewed Motion to Dismiss in Center for Biological Diversity v. Zinke, a case that challenges Congress’ use of the Congressional Review Act to overturn a Department of Interior regulation (Refuges Rule) that had severely restricted certain types of hunting in Alaska’s National Wildlife Refuges. CBD’s claims are wholly without merit. CBD admits (1) that Congress, having delegated to Interior regulatory authority over Alaska’s refuges, may modify that delegation; (2) that Congress, pursuant to the constitutional requirements of bicameralism and presentment, enacted a joint resolution cancelling the Refuges Rule; and (3) that through this joint resolution, the Refuges Rule is no longer in effect. That should be end of the matter, but CBD won’t admit defeat and instead raises a series of absurd arguments. First, CBD claims that Congress must jump through additional procedural hoops, found nowhere in the Constitution, before enacting a valid law. It also claims that the Take Care Clause requires the President to enforce certain laws—but not the joint resolution or the Congressional Review Act. Finally, CBD asserts that the cancellation of the Refuges Rule muddies the scope of Interior’s delegated authority. But if that’s true, then the court would have to invalidate the delegated authority, not the laws that refine the authority. Briefing is now complete on the dismissal motions, and we hope that CBD’s suit will be quickly dismissed. For more information, see our case page here, and our previous reports on this case here, here, and here. Today, we filed our opposition brief to the government’s motion for summary judgment in Minerva Dairy v. Brancel. This lawsuit challenges Wisconsin’s butter grading law as unconstitutional under the Commerce Clause, Due Process Clause, and Equal Protection Clause. Grading butter is typically reserved for large commodity butter makers that make copious amounts of butter on the cheap. Artisanal butter makers, like Minerva Dairy, don’t grade their butter because it is cost prohibitive, and it would misidentify their butter as a commodity brand. That’s why butter grading is voluntary nationwide,. Yet, Wisconsin is the only state in the nation that makes it mandatory for butter to be sold in the state. Earlier this month we filed our own summary judgment motion. In that motion we explained how the butter grading requirement is cost-prohibitive to artisanal butter makers, eviscerates their ability to compete with commodity butter, and how it infringes our client’s right to earn a living. Today, we opposed the government’s own summary motion arguing that the government has plainly failed to demonstrate that the law provides any benefit to Wisconsin consumers.